Hello y’all! I hope those of you in the US had a great Thanksgiving. It’s (finally) starting to get chilly here, so I’m beginning to transition some of the pieces in my closet. Which means moving from my sleeveless Marbella to this one. 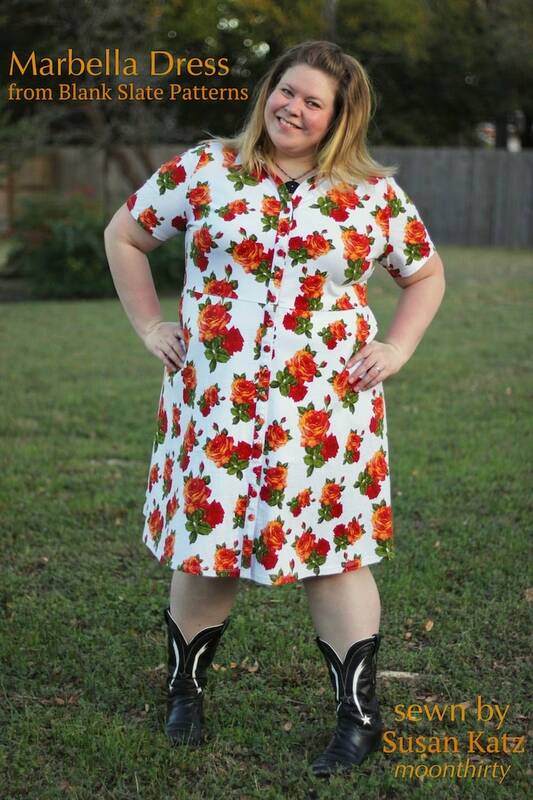 I think it’s pretty hard to tell that this dress and that one came from the same pattern. It’s crazy what a couple of minor hacks and a significantly different fabric can do to a design! As you know, we’re coming to the end of Embellishment month here on Melly Sews. And while buttons can be an awesome embellishment, I wonder — are matching self-covered ones the antithesis of that? 😉 I actually loved some orange buttons in my stash for this, but I didn’t have enough of them and my searches for more were fruitless, so self-covered it was. 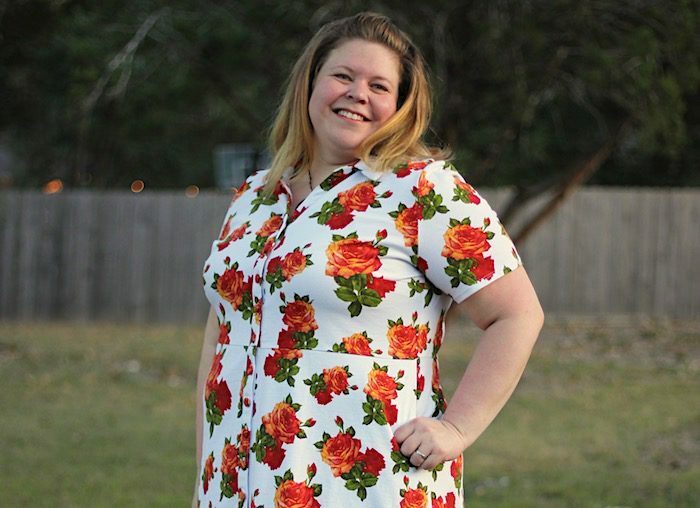 It seems like sewists either love or hate self-covered buttons, and I think I’ve met more of the latter! 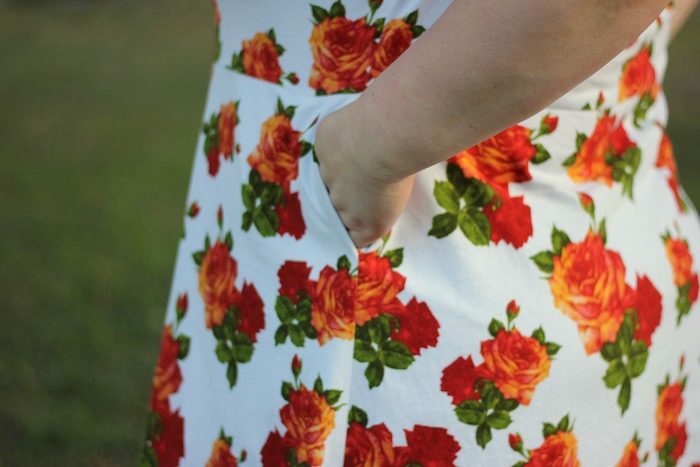 I love them, and I don’t always use the same fabric as my main garment like I did here. They can be used for a great contrast, or to throw in a mix of prints, etc. The ones I use are from Wawak (here) – they’re cheap, I’ve had good results with them, and they come in several different sizes. Just trace a circle a little larger than the size of the button and cut it out. Melissa gave me a good tip about using spray adhesive to “baste” the fabric to the button to make it easier to wrangle. I didn’t have any spray adhesive but I did have this basting spray, and it helped the fabric grab onto the surface of the button. Then I just tucked it onto the teeth bit by bit, stretching the fabric tightly so that it would be smooth. Then snap on the back and done! Repeat 13 times. The fabric I used is a medium/heavyweight 100% cotton jersey. 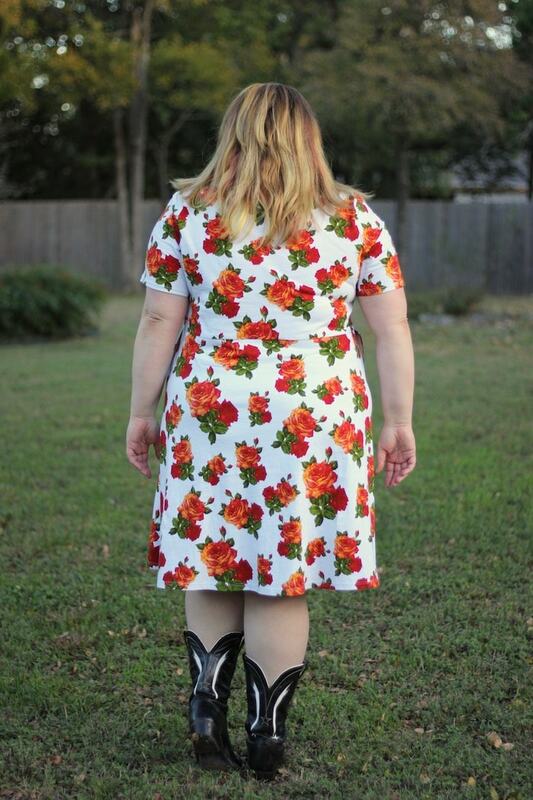 It’s really stable and a perfect dress weight. Excellent for this design because it has no vertical stretch, so that waist seams stays where it’s supposed to! Unfortunately I bought it a couple years ago so I can’t share the love, but other fabric of that weight and content would give similar results. And pockets? OF COURSE POCKETS.